We’ve been working on this for quite some time and we’re really excited to finally be able to offer our readers – new and existing – a much more customized way to get Chrome Unboxed delivered to your inbox. Starting today, you can now choose from a weekly digest, daily digest, and/or per-post email notifications. If you were previously subscribed to our email alerts, you have been imported to our new system and will continue getting updates. If you are one of those individuals and you’d rather be subscribed on a daily or weekly basis instead, you can unsubscribe when the next email shows up in your inbox and simply re-subscribe with your choices in place the way you want them. A few notes. First, the daily digest will show up at 7pm EST each day and will contain the newest 5 posts. The weekly digest will show up around 9am on Saturday morning and will contain the newest 15 posts from the site. The per-post notifications will work as they always have, giving you a quick email notification each and every time we post new content. 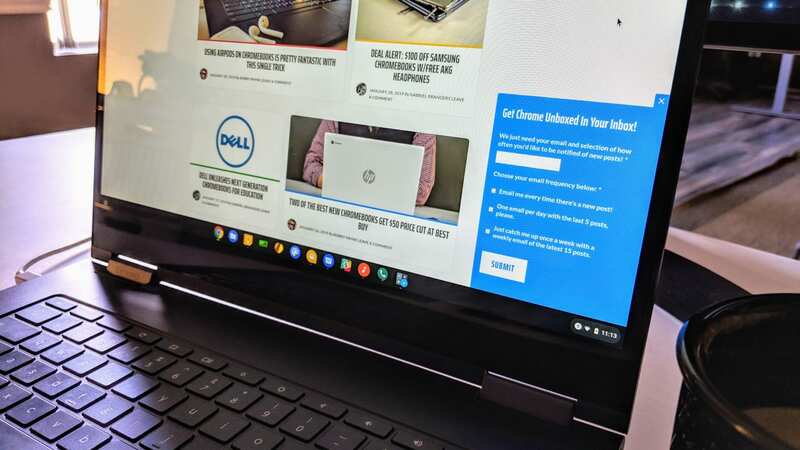 We sincerely hope this helps you – our awesome readers – have a better overall experience keeping up with all the latest Chrome OS news from Chrome Unboxed! Email me every time there's a new post! One email per day with the last 5 posts. One email a week with the latest 15 posts.